The great democracies failed miserably in upholding their own principles when it came to saving Jews. Among devout followers of the liberal left-wing, it is widely accepted that the Holocaust occurred due to the absence of the foundations of equality and democracy in Germany, its allies, or in the countries it occupied. Such an approach views the Holocaust of the Jewish nation as an example of a terrible disaster caused by the lack of these values. Consequently, the main challenge presently facing humanity is to inculcate the values of democracy and equality in all of the world’s countries. However, if we wish to honestly examine whether such an approach indeed ensures desirable behavior, we need to analyze the positions of the two exemplars of democratic countries – the United States and Britain. 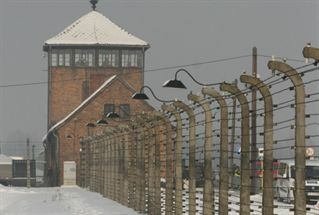 Their response to the Holocaust is immensely important in examining the significance of democracy in protecting the values of life and human dignity, inasmuch as even during wartime, alongside emergency regulations, all democratic institutions, such as the parliament and government, operated in an orderly fashion. In America, elections were held for the President, Senate, and Congress as scheduled, despite the country being involved in World War II from the beginning of 1941. The British and Americans repeatedly proclaimed, with all the tools at their disposal that they were fighting on behalf of ideals, for the sake of humanity, and against the inhumane Satan. Such declarations are extremely important, however, they are also morally binding. Without a doubt, the most horrific barbarity perpetrated was against the Jews. The Nazis gathered them into ghettos, depriving them of their freedom, dignity, and property. They confined the Jews in dreadful conditions, causing many of them to die of hunger, thirst, cold, and disease. In the end, they transported them in cattle cars, under appalling conditions, to be mass-murdered in the death camps. Nothing can be more diabolical than this. Perhaps one can understand the difficulty in requesting a country – even one that declares all of its war efforts are on behalf of rescuing human morality – to open an additional front and sacrifice thousands of soldiers only for the sake of rescuing millions of foreigners. However, it could have been expected that, at the very least, they would have carried out two minimal actions to save the Jews: issuing temporary visas, and bombing the death camps. But the two glorious democracies refused to do even this. One of the most effective methods of saving Jews was by issuing temporary resident visas to one of the countries not controlled by Germany. Tens of thousands of Jews were saved with such visas, which righteous diplomats– such as the Swedish Raoul Wallenberg in Hungary, and the Japanese Sugihara in Kovno (Kaunas), agreed to issue. However, what a handful of diplomats were willing to do under great personal risk – seeing as they acted in contradiction to their government’s positions – liberal countries refused to do legally. There was another means of saving Jews: disrupting the method of extermination, namely, bombing the death camps, and railways leading to them. In the final two years of the war, the delaying of trains for two or three days meant postponing the murder of tens of thousands of people. Bombardment of the camps could have hindered the mass-murder for an even longer period of time. Had they bombed repeatedly, they could have disrupted the majority of the murderous operations in the camps. It is fair to assume that in this manner, over a million Jews could have been saved. However, representatives of the democratic countries claimed that bombing the camps would have entailed diverting aircraft from attacking military targets to other objectives. In reality though, an extremely large number of bombs were earmarked for civilian and industrial targets, but their damage to Germany’s industry was minimal, since the majority of factories were located underground. The Americans and the British realized this immediately, but nevertheless, refused to divert their planes to the death camps. Countless nights, thousands of planes departed to bomb all throughout Germany and Poland, but not one of them was sent to bomb the death camps and the railways. For years, American officials claimed they did not have accurate information about the location of the death camps. When survivors of the death camps testified that they saw American and British planes fly overhead on their way to other destinations, they claimed the survivors had mistakenly identified the planes, and that in truth, only German aircraft flew overhead. This was a lie. After the archives were opened, it was discovered that British and American planes departing from British territory, bombed industrial targets eight kilometers from Auschwitz. They flew over Auschwitz, photographed the camps, saw the smoke billowing from the furnaces – but did not have even one bomb to save the Jews. As later became clear, the purpose of the conference on the island of Bermuda was to diffuse public pressure. In the conference’s deliberations, Britain and the U.S. claimed they could not issue numerous visas to Jews because, at the very most, they were able to absorb no more than a thousand people a month! In all of the vast British Empire, which included India and several countries in Asia and Africa, they couldn’t find a single place to rescue more than a thousand people! 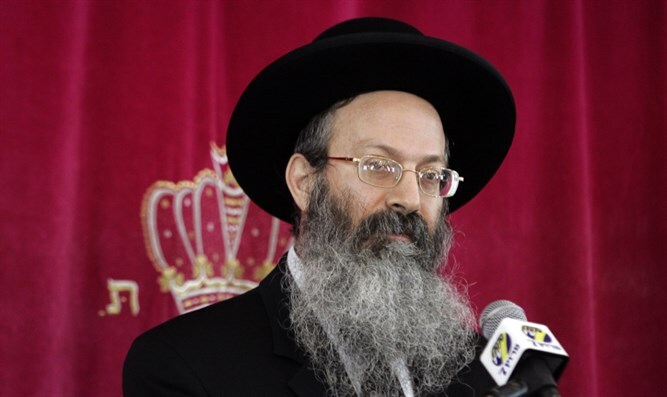 Britain refused to grant entry visas even into the Land of Israel – the location agreed upon by the League of Nations to serve as a national home for the Jewish people. The yishuv ha’Yehudi (the Jewish community living in the Land of Israel at the time) was willing to accept any number required, but the British refused to alter in any way whatsoever, the severe restrictions on the entry of Jews to Israel. Britain and Churchill did not want to save Jews! The Americans, as well, refused to issue entry visas to countries under their control – even temporary visas until the war was over. A deal to exchange trucks for Jews was proposed, but since it was decided against negotiating with the Nazis at all, the proposal was shelved. In the meantime, representatives of the extolled democracies raised concerns that if the Nazis agreed to release millions of undesirable people, the democratic countries were liable to find themselves in an extremely difficult situation, inasmuch as they would be required to find them a place to live, and maybe even feed them. So, it was better they die. It is important to note that the ‘Bermuda Conference’ was convened in the spring of 1943, when it could already be presumed that the Germans would lose the war. The conference took place after their defeat in Stalingrad, and just before their defeat in Kursk. From then on, the Germans retreated. Nevertheless, in these two years, over three million Jews were murdered. During the war years, Henry Morgenthau, the Jewish U.S. Treasury Secretary, also tried to rescue his brothers in Europe. Morgenthau was the one who saved America from the Great Depression, seeing as Roosevelt had little knowledge of economics. The only privilege granted Morgenthau was managing economic policy. All his pleas on behalf of the Jews fell on deaf ears. Roosevelt did not want to save Jews! Only towards the end of the war as a result of public pressure, was it agreed to allocate a significant amount of money for Morgenthau to rescue Jews. He worked alone, without cooperation from the Department of Defense or the C.I.A. Roosevelt apparently gave instructions not to cooperate with him; only middle-level agents agreed to assist. Despite this, the money reached its destination via various agents, and was used to bribe local German officials and organize escape routes from areas were Jews still remained (mainly from Hungary). According to estimates, approximately 200,000 Jews may have been saved through these rescue operations. Devout worshippers of the democratic religion are unwilling to accept this, but the Holocaust was the result of one thing only: generations of anti-Semitism, led by the Nazis with monstrous brutality – but with far too many silent partners, even among democratic countries. For sure, the local residents of the occupied countries were also interested in stealing property. But among the Allied governments, senior officials, and army commanders, it was a deep-rooted, pathological, and irrational anti-Semitism that caused many people in the U.S. and Britain to refrain from taking any action that might rescue Jews. How great it would be if democracy and liberalism could rectify the world. However, the problems are much deeper than that. Just as democracy failed to help the U.S. and Britain save Jews, so too, democracy cannot help solve any substantial conflict, anywhere in the world. Although anti-Semitic hate is the gravest moral disease, it shows us that moral problems have deeper roots. The answer is not superficial equality. The solution must be based on a foundation of morals and values, stemming from a passionate and absolute conviction in the values of truth and goodness, including a profound appreciation for man created in the image of God, together with great respect for differences between individuals, nations, and cultures. Just as the communist formula of economic equality failed to cure the world, democracy’s equal rights will also fail. Only education towards values and morality will cure the world. Equality and democracy are meaningful only to the extent they are based on a true moral foundation. Indeed, there is an important advantage to democracy. Thanks to freedom of speech, the “Bergson Group” was able to influence American public opinion until eventually towards the end of the war they succeeded in leading a significant rescue operation. Today as well, thanks to American public opinion, the U.S. administration is forced to adopt a pro-Israel policy. This demonstrates that it is forbidden to lose hope in people, especially those who share in principle these values, like many in the United States. Anti-Semitism, nonetheless, is still alive and kicking in Europe and throughout the world. If, God forbid, we were faced with a similar situation today, it doesn’t seem the government policies in democratic countries would be any better towards us. On the other hand, public opinion might be influenced. Unfortunately, the Israeli government fails to act in this field at all. Instead, they are busy comparing spraying graffiti on walls to murderous terrorist attacks. In such a situation, even without any adversaries, we will lose the war of public opinion. Based on a class given in Yeshiva Har Bracha by my good friend, Rabbi Ze’ev Sultanovich.